The playdate, when it goes perfectly, can be a great way to get your kids out of your hair, tire them out before a nap and maybe socialize with other parents while you’re at it. But how often does anything regarding kids go perfectly? Playdates can be rife with dispute, mess, and the tightrope of being an authority figure to someone else’s kids. But experts agree there are guidelines for ensuring a safe, successful playdate — with or without wine. The ideal playdate is about two hours long. “This allows children to settle into deep play, but creates a time boundary that will preempt a meltdown,” says Allison Klein, who tutors children through imaginative play in New York City. It is smartest to schedule the date so that you can wave bye-bye before lunch or dinner so you’re not stuck serving a full meal. Also, how do know if your kid is ready for drop-off dates? If your child is capable of finding an adult and saying something if he’s not feeling well, able to sit and eat a meal (somewhat) politely and can handle all his own toilet responsibilities, then according to Gilboa, that means he’s ready. The two biggest ways to prevent a sudden, irreversible tragedy are pool safety and the safe storage of guns in the home. A late 2015 NBC News report revealed that over 550 children died from gunshots (both accidental and intentional) since 2012. The CDC reports that of the approximately 3,500 Americans who drown every year, 20 percent of those are 14 years or younger. These types of incidents are preventable. When not in use and under observation, pools must be completely sealed off, even if children have taken swimming lessons. If you own firearms, ensure that the guns are locked, inaccessible to children, and that the ammunition is stored separately. If you’re feeling awkward about asking another parent about gun storage safety, Be Smart for Kids provides a script for double-checking in a nonjudgmental way. What happens with the little brother wants to join in on the big kid fun? 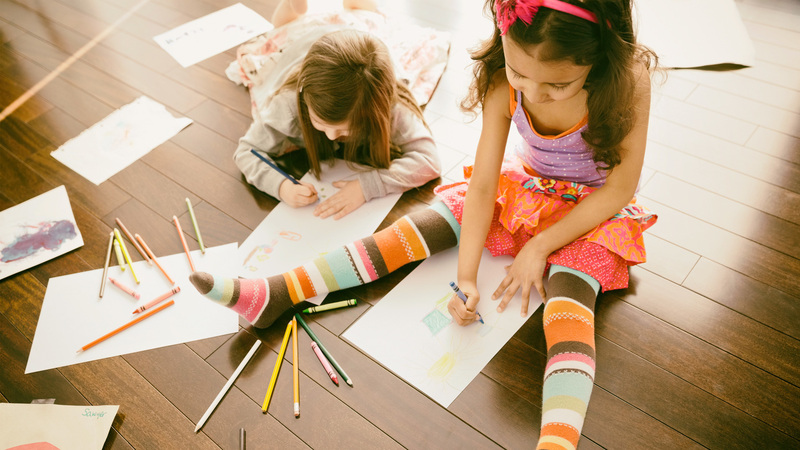 If the children are engaging in an all-ages activity, Gilboa suggests seeing if an older sibling is willing to include the little one for the first half of the playdate if you can guarantee it will be a just-friends arrangement for the second half. Perhaps, for instance, if the kids are kicking around a soccer ball, the older kids could set up a drill for the younger ones. But if the big kids are truly doing their own thing, respect the original players. You can empathize, says Janet Lansbury, an educator and mother of three in Los Angeles, and say, “I see you want to run over there, I know it’s so hard.” But it’s actually good to demonstrate to little kids that not everything in life goes their way. “Thou shalt not bring sick children to playdates!” says Chase, adding that if she wants to preserve a friendship, “The last thing I want to do is bring my kid over and infect them.” When in doubt, text an honest assessment of your kid’s symptoms (and if a pediatrician says your kid is contagious, the date is definitely off.) But you never know — both kids might have the sniffles, in which case, stock up on tissues and play on. No need to stock a pantry exploding with a thousand snacks for a thousand tastes or to feel this is your time to show off your bento box skills. For a snack you can pull together quickly that is likely to please a range of tastes, Sally Kuzemchak, a registered dietitian and mom of two boys, has found success in assembling what she calls a snack platter. Place an array of cheese, crackers, apples and nut butter (if there are no allergies) and “maybe a vegetable, because you never know” all on one serving tray. “I’ve been pleasantly surprised by how excited the 12-year-olds are with the snack platter and by how much of the fruits and vegetables get eaten,” says Kuzemchak. If a kid gets slightly injured, do you alert the other parent or avoid bothering them? For minor injuries, says Gilboa, “The first thing you do is take care of the kiddo like he’s your own,” by offering a cold compress or a hug. She has a trick for alerting parents to any tears without causing undue panic — If the kids have resumed play, it’s nice to send a photo to the parents with a note: “They’re doing great. She tripped and bumped her head, but there was no blood. See you in a couple of hours!” But in the case of more serious injury or if you think you spot an infection (in the form of a fever, vomiting or diarrhea), call immediately.